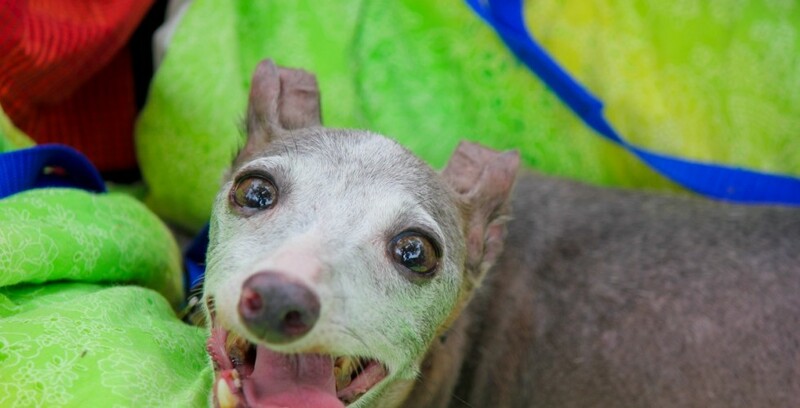 – Most Italian Greyhounds live to be about 14 but many, if properly cared for, can live as old at 18 so they have a lot more life ahead of them! Kai: she is a 9 year old mill rescue. She is still a little on the shy side and is looking for a family that can continue to teach her about the finer points of life outside a mill. Journey: she is a 9 year old mill rescue, she warms up quickly but is still a little hesitant around new people, places, and things because she lived in a mill her whole life. Her perfect family would have patience and take pride in her everyday successes as she learns about ‘pet’ life! 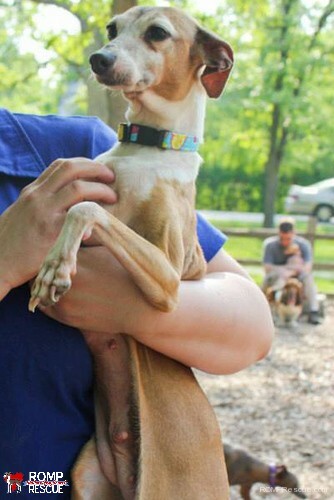 For an updated list of adoptable pups at ROMP Rescue, check out our link here! 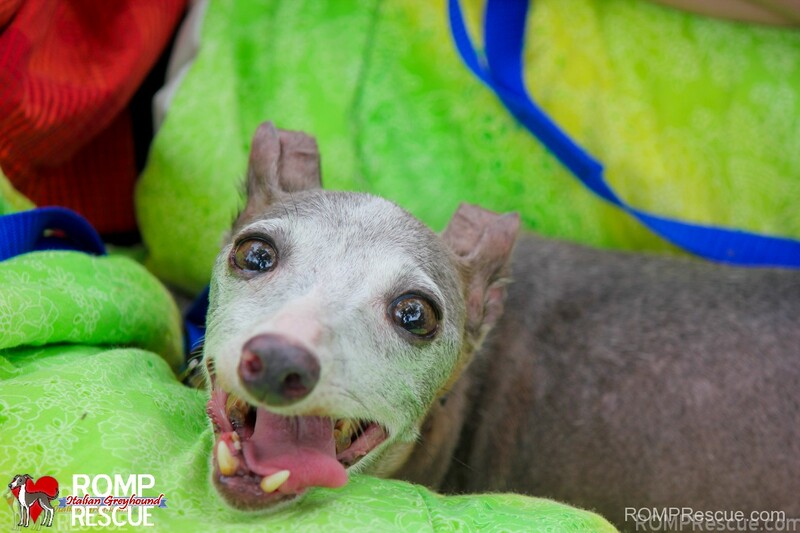 This entry was posted in ALL and tagged adopt, adoption, chicago, igca, iggies, iggy, il, illinois, italian greyhound, italian greyhound senior, italian greyhound seniors, italian greyhounds, midwest, rescue, senior, senior italian greyhound, Senior Italian Greyhounds, Seniors, shelter. Bookmark the permalink. Hi, I have 2, 10 year old IGs and I recently boarded them for the first time in 8 years and they both lost weight…I was wondering if you had any good ideas for a supplement or additional food to increase their weight. Increasing their food much is not really an option because they will throw up if overfed. Any thoughts?